The southern view of the Taj Mahal. 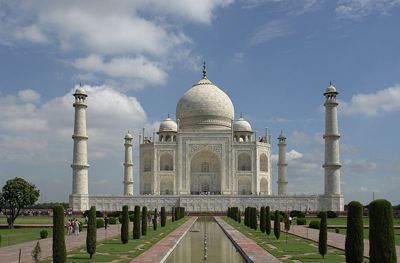 Dr. Carlos Lopez of religious studies and Dr. Pratyusha Basu of geography will lead a two-week winter break study tour of India from Dec. 26, 2010 to Jan. 8, 2011. The goal of this program is to familiarize students with conducting field-based research in an international setting and to provide a foundation for any further research topics relating to India. Applications and first deposits are due by Nov. 8. Information sessions will be held on Oct. 27 at noon or Nov. 4 at 1 p.m. at the Confucius Institute CPR478. For more information, visit the Education Abroad website.